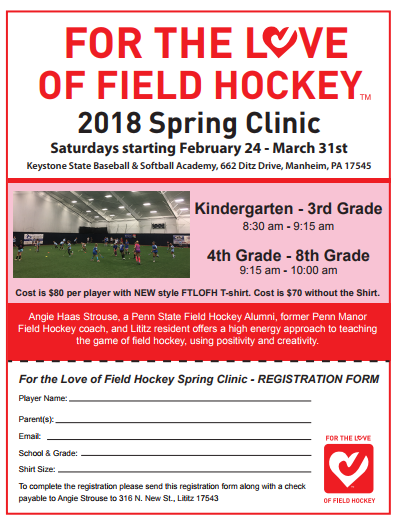 Angie Haas Strouse, a Penn State Field Hockey Alumni, former Penn Manor Field Hockey coach, and Lititz resident offers a high energy approach to teaching the game of field hockey, using positivity and creativity. For complete details on upcoming clinics CLICK HERE. Click on the flyer below to open a printable version.